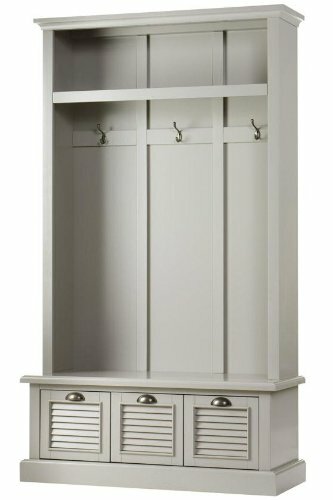 A mudroom locker is a great piece of furniture that offers an abundance of design and storage features. 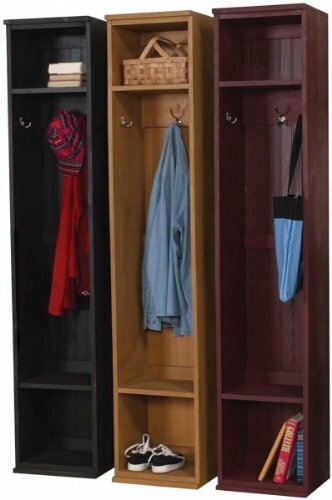 Most look like an open storage locker with coat hooks and some cubbies above for placing smaller items and storage below for placing shoes or other outdoor gear. They are perfect for busy homes making it easy to keep the whole family organized and on time when they are ready to leave the house. 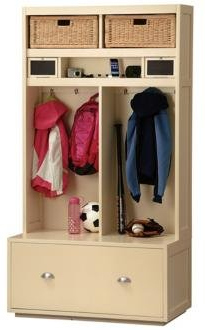 Mudroom lockers are great for preventing bulky winter clothes and other gear from spreading to the rest of the house.